Anand Mistry has been at Silcoates almost a quarter of a century. This includes fourteen years as a pupil, having joined Silcoates at the age of three, and leaving with A Levels in Design Technology, Maths and History. After leaving Silcoates, Anand studied Industrial Design at Loughborough University, showing a particular interest in product realisation and manufacture. Having been inspired by teachers at Silcoates, Anand always knew that teaching was the career for him and, after completing his PGCE, he started teaching Design Technology in Derby before moving back to Silcoates in 2006. 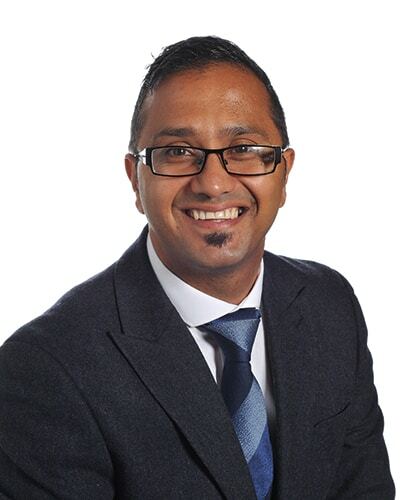 As Head of Sixth Form, Anand oversees all aspects of the Sixth Form ensuring that students fulfil their potential and are fully prepared for life after Silcoates. In addition to teaching, Anand coordinates a biennial expedition to Tanzania where Silcoates students get the opportunity to make a difference to people less fortunate than themselves. He coaches U15 rugby and U14 cricket teams and the Micros at Sandal rugby club. Anand is married with two boys, one who has just started his own Silcoates journey. His interests include personal fitness and sports of all types. In his free time, Anand enjoys building and construction work, often helping friends build decking, walls, driveways or installing artificial grass. What makes Silcoates Sixth Form special? The Sixth Form is a thriving community of valued individuals who are at the centre of Silcoates. Regardless of their ability, every student is challenged and supported to reach their potential both in an out of the classroom. Preparation for life after Silcoates is vital and, through our curriculum, enrichment programmes and vast array of co-curricular schemes and activities, we cater for all. Our Sixth Formers demonstrate a genuine desire to take on new responsibilities. At Silcoates, we are proud to see our students leave the school as confident, interesting and intellectually inquisitive young adults, equipped not just with formal qualifications but with a rich diversity of experiences and skills, and an appetite for new challenges. At Silcoates, students have access to a broad and enriching curriculum that allows entry to any university course in the country. Students are taught by experienced teachers, who are all specialists in their subject areas. Class sizes are small, which ensures that all students receive individual attention. The pastoral care is outstanding. Students have a dedicated personal tutor, who really gets to know them. This focus on the individual enables students to fulfil their potential.